After a previous leak this weekend, Dona Sarkar pushed the red button and released the Insider Preview build 15002 for PCs and tablets to Fast Ring Insiders. After a long break due to Christmas and NYE holidays, Microsoft’s back on the job releasing this fresh new build. The Microsoft Edge Team has lots of new features to share, focused on making it easier than ever to keep track of your tabs and pick up where you left off, as well as a few other surprises! Tab preview bar: It’s easy to lose track of what’s in your tabs, especially when you have many tabs from the same site, with similar titles and icons. Tab preview bar allows you to easily glance at a visual preview of every tab you have open without leaving your page. You can scroll through the list with touch, mouse wheel, or a touchpad. Just click the chevron icon next to your tabs to get started. Give it a try and let us know what you think! Set these tabs aside: We often hear that it’s a headache to keep all your tabs organized, and to pick up where you left off. Sometimes you just need to set everything aside and start from a clean slate. We’ve added two new buttons next to your tabs in Microsoft Edge to help you quickly manage all your tabs without losing your flow. Component UI: This release introduces a new UWP architecture for Microsoft Edge’s multi-process model, including a new visual tree and new input model. These changes will help improve stability and input responsiveness and make the browser UI more resilient to slow or hung web page content. Be on the lookout for any issues with tab launches and activation or input (including keyboard, mouse, or touch) and share feedback in the Feedback Hub if you have problems! Flash Click-to-Run: Microsoft Edge will now block untrusted Flash content by default until the user explicitly chooses to play it. This means better security, stability, and performance for you, while preserving the option to run Flash when you choose. You can learn more about this change on the Microsoft Edge Dev Blog: Extending User Control of Adobe Flash with Click-to-Run. We will be evolving this experience in upcoming flights to make the option to run Flash content more contextually obvious. For a complete list of all the changes in Microsoft Edge, visit the Microsoft Edge changelog. Tile Folders in Start: As part of our ongoing effort to converge experiences across devices, and to address your feedback, we’re excited to let you know that with today’s build you will now be able to group your Start tiles into folders. Tile folders are a way for you to organize and personal your tiles in Start, and we’re happy to now bring this to Windows 10 PCs. To get started, drag and drop a tile on top of another tile in Start to create a folder. The WIN + H hotkey, used in the old Windows share experience, has been removed. Capture a region of your screen: OneNote 2016’s popular screenshot feature is now built into Windows 10! You can use Win + Shift + S to capture a region of your screen and copy it to the clipboard for pasting into OneNote for Windows 10 or any other app. Please note that this feature replaces the one in OneNote 2016. Improved high-DPI support for desktop apps: Continuing from our work with Build 14986, Build 15002 brings more goodness in the way of high-DPI support. First, much like we did with Microsoft Management Console (MMC), we’ve updated Performance Monitor (Perfmon) to now be more crisp on high-DPI PCs. Second, while we’ve enabled these improvements by default for some Windows desktop apps, you can now enable them yourself for other GDI-based applications, too! To do this, you’ll need to find the application’s .exe file, right-click on it, and select Properties. Go to the Compatibility tab, and turn on System (Enhanced) DPI scaling, and click OK. This setting overrides the way that applications handle DPI scaling (which sometimes uses bitmap stretching and can result in applications rendering blurry) and forces them to be scaled by Windows. The setting that was previously labeled Disable display scaling on high DPI settings is now referred to as Application scaling. This works only for apps that use GDI. Smooth Window Resize: One of the things we’ve heard from Windows Insiders is that the animation when resizing windows isn’t always smooth. We’ve taken that feedback, and Insiders should see improved performance and smoothness when resizing GDI-based Desktop applications (such as File Explorer, Task Manager, and Notepad) and UWP apps (such as Groove Music and Outlook Mail). In addition to this work, we’ve also updated our code so that when rapidly resizing UWP apps, the window frame background will be transparent as the app adjusts, rather than a flat base color. Desktop Icon Placement and Scaling Improvements: We’ve heard from you that sometimes desktop icons aren’t scaled or arranged as expected, particularly after docking/undocking your device, working with monitors that have different DPI, or projecting your monitor. We want users to feel that desktop icons are stable, scaled properly, and move predictably when changing monitor configurations, so we’ve made changes to how this logic works in order to address your feedback. Now when you change your multi-monitor configuration, dock/undock your device, project your display, add or remove monitors, or otherwise make changes that affect the icon scaling, you should see an improvement in how the system adjusts the layout of your desktop icons. Try it out and let us know how it goes! Lunar Calendar support for the Taskbar: Those of you who follow the Simplified or Traditional Chinese lunar calendar can now use the taskbar calendar to quickly check the lunar date alongside the current Gregorian date. Special holidays are called out in accent-colored text. Go to Settings > Time & Language > Date & Time to pick which additional calendar you’d like to see. Thanks to everyone who sent in feedback requesting this! Improving our notification experience for app developers and everyone: App developers are increasingly facing scenarios within their applications where they require more flexibility to organize notifications to provide the desired user experience. To provide a more relevant and crafted experience to Windows users, we will now provide app developers a way to create custom subgroups for their notifications in Action Center. Also, to address issues where notifications might have the wrong time stamp (for example, if your PC was asleep when you received a cross-device notification from your phone), we’re enabling app developers to override the notification timestamp. If you’re an app developer, please check out the Tiles and Toasts blog for coming posts about how you can leverage these new features. In addition, thanks to your feedback, we’ve added point erase to the Windows Ink Workspace’s Sketchpad and Screen Sketch. This means that now you have the option of deleting your whole ink stroke or erasing only pieces of it. You can select your desired option by tapping the eraser icon, where you’ll find new options to switch between eraser types. We’ve also updated our taskbar logic, so that if you have the Windows Ink Workspace icon on your taskbar, it displays the taskbar of every monitor. 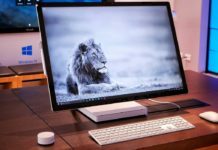 Clicking it launches the Windows Ink Workspace on that monitor. Easier discovery of Cortana’s app-specific commands: Many of our awesome app developers have been adding commands for Cortana to help you get where you need to go even faster—for example directly launching radio stations, playing movies, or searching for recipes. 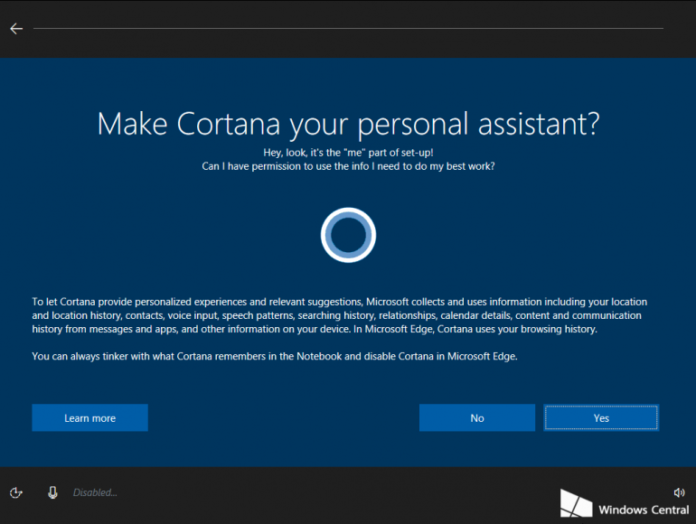 For apps that support these commands, we will now bubble up suggested commands as you type the app name in Cortana. Clicking a particular suggestion launches the app with that command. Once you know the command, you can also trigger it by simply saying it to Cortana. Not sure which apps have added this feature? Check out this handy Store collection: Better with Cortana! Once you’ve downloaded an app, you’ll need to launch it once. Wait a few hours, and everything will be all good to go. More recurrence options for Reminders: We’ve heard your feedback, and with this build of Windows we’ve added a new option to set recurring time-based Cortana Reminders for “Every Month” or “Every Year” —great for bill payment or anniversary reminders! Keyboard shortcut change for invoking Cortana: The keyboard shortcut to invoke Cortana in listening mode is changing to WIN + C. This shortcut will be off by default. If you’d like to use it now, head to Cortana’s settings and you’ll find a new option to enable it. WIN + Shift + C will be used to open the App Charms menu, seen in the title bar of Windows 8 apps. This new experience is still a work in progress, so there are some places that still include the older OOBE pages and Cortana is unable to help you get your PC fully set up. We plan to continue to do more work on this so stay tuned! While you can’t access the Feedback Hub during OOBE, please take a moment once you’ve reached the desktop to complete the Quest and log feedback in the Feedback Hub. *Works for languages that support Cortana. For languages that don’t support Cortana, you will still get the new experience without the speech capabilities. Note: We are working on making Installation media (ISOs) available for Build 15002 in the next week for Windows Insiders to more easily try out this experience. Narrator support for WinPE and WinRE: This build also now supports the use with Narrator from WinPE for installing Windows as well as troubleshooting options with WinRE. When we make the ISOs available for this build, you’ll be able to try this out by building a bootable USB drive or other bootable media and using the ISO files. After booting into WinPE, wait 15-20 seconds and then use the keyboard shortcut CTRL + WIN + Enter to launch Narrator. You will need to restart Narrator to use it after any reboot during the install process. NOTE: Not all audio devices are supported. USB headsets are the recommended option for audio, since the full Windows audio drivers for the PC are not available in WinPE/WinRE. Built-in speakers may also work on some PC’s but if you do not hear Narrator announce that it is starting, try connecting a USB headset and restarting Narrator. Narrator Touch is not supported during OS install. Braille support in Windows: Not too long ago, we mentioned Braille support was coming to Windows. That work is starting to appear in builds, and you will find a new button that offers the ability to download support for braille via Settings > Ease of Access > Narrator. While this button is present, the feature doesn’t work yet so hold off on giving it a try for now. We’ll let you know in a future post when braille can be used. Narrator Improvements: We’ve made several improvements to Narrator for navigation when using Scan mode. You can now navigate to headings of a specific level by typing the number of the heading level you want e.g. 1 for the next heading level 1. Add shift for the previous heading. In addition, Narrator’s Scan Mode now allows you to press Home and End to move to the start and end of a line of text respectively when pressed. Finally, when in Scan Mode you can press Ctrl + Home and Ctrl + End to move to the start or end of the web page or other content you are reading. Improved legibility for UWP apps in high contrast: As part of the Windows 10 Anniversary Update, we improved the legibility of many websites viewed in high contrast by showing an opaque layer behind the text. We recognize that similar to the state of websites on the Internet, many UWP apps have not been tailored to present an optimal experience for users who need increased contrast. So, we’re taking a similar approach to improve how UWP apps look in high contrast. We’ve updated the XAML framework to now display an opaque layer behind the text and coerce semi-transparent UI to be fully opaque. This addresses the most common issues in apps like in the before/after screenshot below. These adjustments are applied by default in high contrast and apply to *all* XAML Store applications that run on Build 15002 and higher, whether they explicitly target this build (with the SDK) or not. However, applications that render their own text on something such as a SurfaceImageSource do not receive the automatic adjustment from the framework. If you find any issues with this work, please log them here, and as always, you can reach out to @MSFTEnable on Twitter at any time about accessibility problems and requests you have for accessibility in Windows. In addition, we’ve updated Windows Ink to now support a rich color range experience when using your device in high contrast. Try it out in Sketchpad today and let us know what you think! Device performance and health scans give you a report on your PC’s health. Updated device settings: The new device settings experience combines the Bluetooth and Connected devices pages to offer a single place to manage your devices/peripherals. 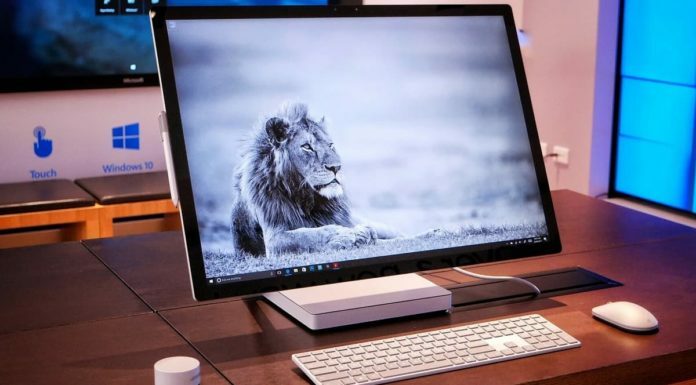 Bluetooth accessories, wireless docks, Xbox Wireless controllers, and media devices can all now be discovered and managed from the same place using the same familiar UI on both the desktop and mobile. We’ve also listened to your feedback and added the ability to disconnect and reconnect your Bluetooth audio devices directly from this Settings page. Try out the new page and let us know what you think through the Feedback Hub! Lower Blue Light: Windows can now automatically lower the amount of blue light emitted from your PC at night. Settings to turn this functionality on or off and use a local sunset and sunrise or custom schedule are in Settings -> System -> Display. If you need to quickly override the schedule or always want manual control, you can enable this quick action in Settings->Notifications & actions. Use this capability for a couple nights and send us feedback through the Feedback Hub, we’d love to know what you think! New per app Surface Dial settings: App developers have the option of providing custom tools for the Surface Dial when using it within their app. In addition to this, Windows Insiders with Surface Dials will now be able to customize the default tool set for individual apps starting with this build. Setup the keyboard shortcuts most meaningful for specific apps – like Ctrl + Delete in Word 2016, or CTRL + Tab in Sticky Notes. Head to Settings > Devices > Wheel today to try it out and share your thoughts! We’ve also updated the custom tool creator to now enable you to set keyboard shortcuts that include a number of common symbols. 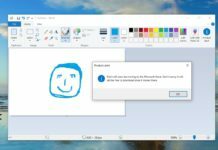 Windows Personalization now supports recent colors: We understand how important colors are for personalizing your Windows experience, and that sometimes it takes a few tries to find the perfect one to match your background. Sometimes you pick a new color, close Settings, only to discover that the color you picked wasn’t quite what you were looking for. We have a solution! With Build 15002, we’ve added a new “recent colors” section to Settings > Personalization > Colors, so you can easily pick between the colors you’ve decided on in the past. Windows Theme Management in Settings: As we’ve mentioned in the past, one of our ongoing efforts is to consolidate Settings and Control panel, and we use your feedback to prioritize the convergence into Settings. We’re happy to unveil the next piece of this project: Management of themes has now moved out of Control panel and in to the Settings app. It can be found, along with all your other familiar personalization options, under Settings > Personalization. Pick one of your recent themes, or create and save custom new ones. How would you like to see Settings evolve next? Let us know in the Feedback Hub! Improved Cross-Device Experiences Settings: With the Anniversary Update, we added the ability for app developers to create cross device experiences. Users could enable or disable this feature for their account via Settings > Privacy > General “Let apps on my other devices open apps and continue experiences on this device”. With Build 15002, we’ve moved this setting to its own page – a new entry under Settings > System, called “Cross-device experiences”, and we’ve added a new dropdown to allow you to switch between My Devices or Everyone. If you’re interested in learning more about experiences an example experience that app developers can create with this, check out this blog post. Metered Ethernet Connection Support: Based on your feedback, we’ve added the “Set as metered connection” option to the Ethernet (LAN) connections in Settings > Network & Internet > Ethernet. Just like mobile broadband and Wi-Fi connections, this option helps you to restrict background data usage from some applications and gives you more control over how data is used over the Ethernet connection. Polishing the Touchpad Settings page: Based on user feedback, we have made some UI improvements to the new touchpad settings page, including creating two new groups for three and four finger swipes, updating search terms to make them more discoverable, providing more flexibility to control how taps work, and fixing an issue where Touchpad Settings wasn’t showing an icon next to the name. In an effort to more easily distinguish Windows Insider reports vs the reports of those on production builds, we’ve updated the bugcheck page (blue screen) to be green. Released versions of Windows 10 will continue to have the classic blue color, including the final release of the Windows 10 Creators Update. Hyper-V Manager has a new page that makes it faster and easier to create virtual machines. Just open Hyper-V Manager and click ‘Quick Create’. The simple wizard will help you set up a VM in just a few clicks. After the virtual machine has been created, the confirmation page will allow you to connect to it or enter advanced settings. This is still a work-in-progress and we would love to hear what you think. Next time you need a VM, please give it a try and send us your feedback! We’ve added an option that will enable you to pause updates on your computer for up to 35 days. To pause your machine, go to the Advanced options page of Windows Update Settings. This capability will be available on Professional, Education, and Enterprise editions of Windows. We’ve added an option that will now allow you to decide whether or not to include driver updates when you update Windows. This capability will be available on Professional, Education, and Enterprise editions of Windows. We’ve added a new icon to the Windows Update Settings page to make easier to see your update status at a glance. This update status and experience is consistent with the experience you’ll find in the new Windows Defender dashboard. We’ve made some improvements to our logic to better detect if the PC’s display is actively being used for something, such as projecting, and avoid attempting to restart. You can read more about Windows Information Protection in Windows 10 here. We are running experiments on a small set of Insider devices to evaluate an upcoming Windows 10 Creators Update feature which helps improve Windows battery life. Depending on the experiment configuration, you may see one or more applications reported as “throttled” in the task manager (see insert). The experiment should have no noticeable impact on your user experience and we look forward to hearing your feedback. Please share your experience with us through the feedback hub (under “Power” category & subcategory “throttled Applications”). In support of this experiment, some of you will also see a new power slider in the battery flyout; we’re still experimenting with these power modes that this slider sets. Stay tuned for more updates mid- February 2017. Improved access to Microsoft Pinyin IME settings when using the language bar: We’ve heard your feedback – with Build 14986 it was going to be easier to access the appropriate settings with the IME mode indicator. This week we’re happy to announce that the same will be true for those who prefer the language bar, as we’ve updated the settings icon to now directly open IME settings. New settings page for Microsoft Pinyin IME: To go alongside with the new customization options we’re adding for the IME, we’ve revamped the Microsoft Pinyin settings page – now divided into 5 categories so you can more easily find what you’re looking for. Have a look through the new settings and setup your IME experience the way that feels best to you! Hotkeys for the Microsoft Pinyin IME: We’ve added some new features to improve the keyboard experience when using the IME. Including candidate window switch keys configuration, Chinese/English punctuation switch, default punctuation mode, Full/half width switch, default full/half width mode, Simplified/Traditional Chinese output switch and 2nd/3rd candidate submission. Learn about this new option in Microsoft Pinyin settings > Keys. We’ve also added a new hot key to open the emoji panel (Ctrl + Shift + B), so you can open it directly without having to first have the candidate window visible. Roaming self-learned phrases: In the last build flighted to Insiders we mentioned that the Microsoft Pinyin IME now supports imported and exporting self-learned phrases. This week, we’re happy to announce the natural extension of that work: If you have an MSA connected to your device, your self-learned phrases will now roam between all of your MSA connected PCs. The Microsoft Pinyin IME emoji panel gets a redesign, new predictive emoji, and stickers: Since their conception, emoji have become an important tool for quickly convey thoughts. Along with our new keyboard shortcut (CTRL + Shift + B), we’ve updated the look of our emoji panel to make it easier to find the emoji, kaomoji and symbols you’re looking for. We’ve also added a totally new section: Stickers! The stickers tab will appear for apps that support sticker input. In addition, based on the words you type, we will now bubble up suggested emoji and stickers. Simply type something and then click on the face icon in the candidate pane (or use the new hotkey, tap the thought bubble, and the emoji predictions will be presented to you. Making it easier to type complex input faster: Since there isn’t any pinyin starting with U or V, previously the Microsoft Pinyin IME would primarily just give English suggestions in that case, Knowing that about how pinyin is written, we’ve taken the opportunity to add two new modes: U-mode and V-mode. U-mode can now be used for advanced input features, like inputting complex characters, and V-mode can be used to input content which normally is not easy/quick to type (for example, 2016年6月6日”, “十三时三十分”, or “壹仟贰佰叁拾肆”). Try these new modes out today and let us know what you think! Once you start typing “u” or “v” with the IME on, a tip will appear displaying all the available options. Name input mode: Since most names are not commonly used words, it can be difficult to type with the IME because the correct candidate will appear far down the list (or not at all). In order to solve this problem, we’re introducing a new name input mode for the Microsoft Pinyin IME. When you enter name input mode, instead of your normal candidate predictions, all candidates will be from a dictionary of names, thus making it more likely you’ll find the one you want. Press the “;” key (in double pinyin mode, press “Shift +;” key combination) and then press the “r” key to enter the name input mode. Name input mode can be disabled or enabled in the Microsoft Pinyin settings page. Custom double pinyin schemes: Double pinyin is a method for creating shortcuts that speed up typing. Microsoft Pinyin IME users can now add, edit, or delete custom double pinyin schemes, so you can create the one that feels best to you. To do this, go to the IME > General settings, and switch the pinyin style from Full to Double. You will then be presented with options for setting up the scheme of your choice. We’ve changed the length of the composition string to now show 3 predictive candidates by default. This will not impact those who have previously adjusted the length. If you’d like to change the length, there is an option to do so on the IME’s Advanced Settings > Predictive Input page. We’ve changed the logic to show English words more frequently as predictive candidates so that IME users can input English words more easily if they choose to leave the IME on.